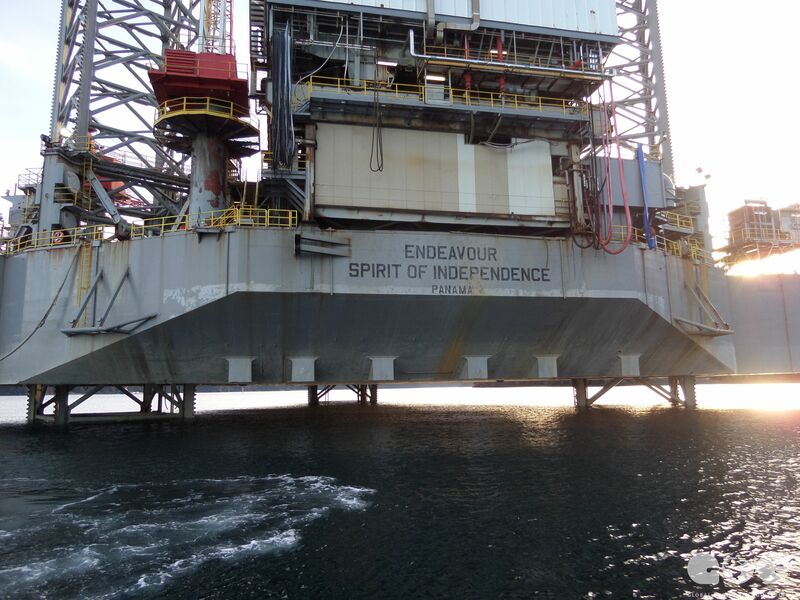 The cantilever jack-up platform, Endeavour, Spirit of independence, was built in 1982 by UIE Shipbuilding Scotland Ltd. and had original name GSF ADRIATIC XI. 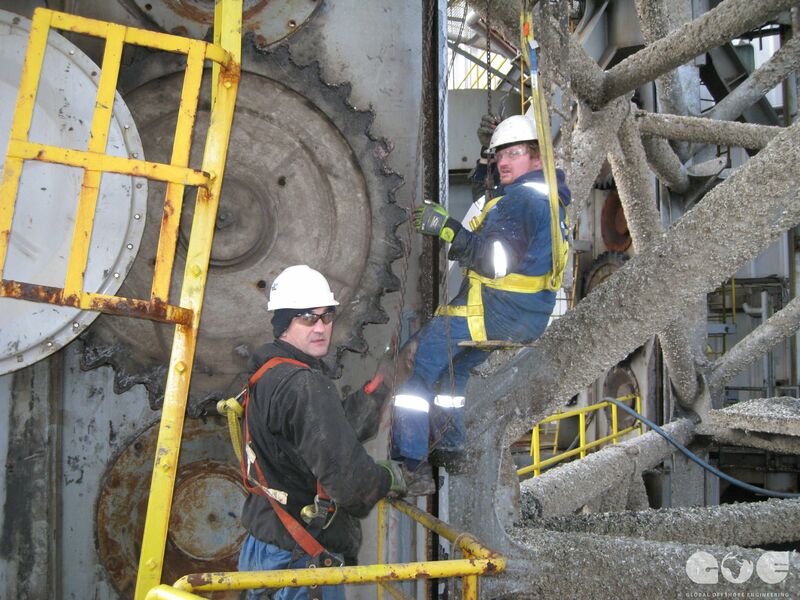 In 2011 rig was sold to Kenai Offshore Ventures-KOV. The rig, originally designed for North Sea exploration, has been modified to meet current safety, environmental, and other northern ocean exploration requirements. 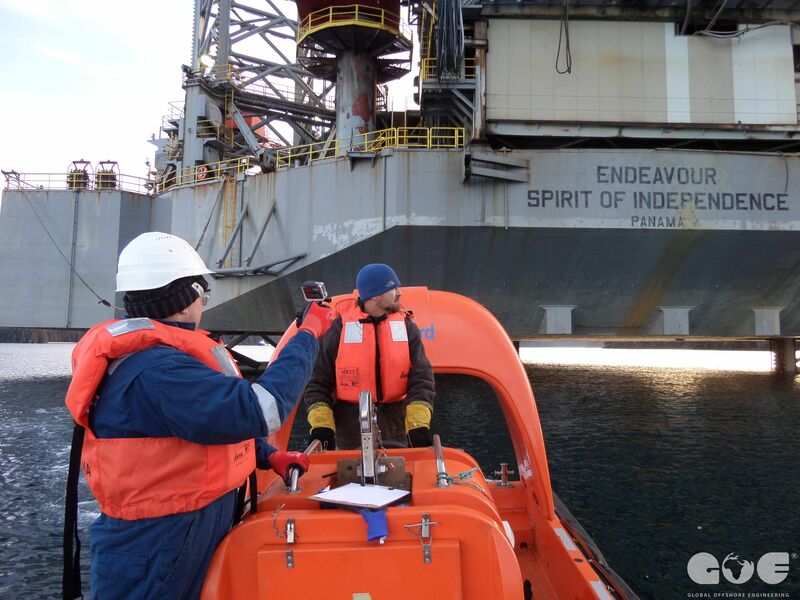 Capable of operating in temperatures as low as -10 degrees F.
In December 2014, GOE team was responsible to conduct a full rig condition survey and gave to clients detail survey report. After completion of rig condition survey, clients was decided to rent the rig and approved GOE team recomendation for required upgrade and refurbishment. 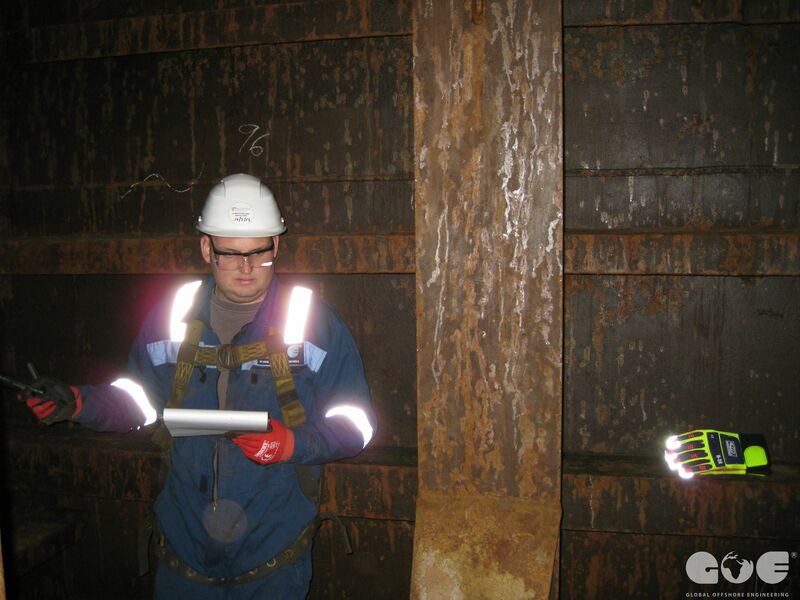 Survey was conducted simultaneously with operational procedures and requirements necessary for wet towing from Port Graham to Homer, and embarkation of the Rig Endeavour to Heavy Lifter for dry towing from Homer, Alaska to Saldanha in South Africa. 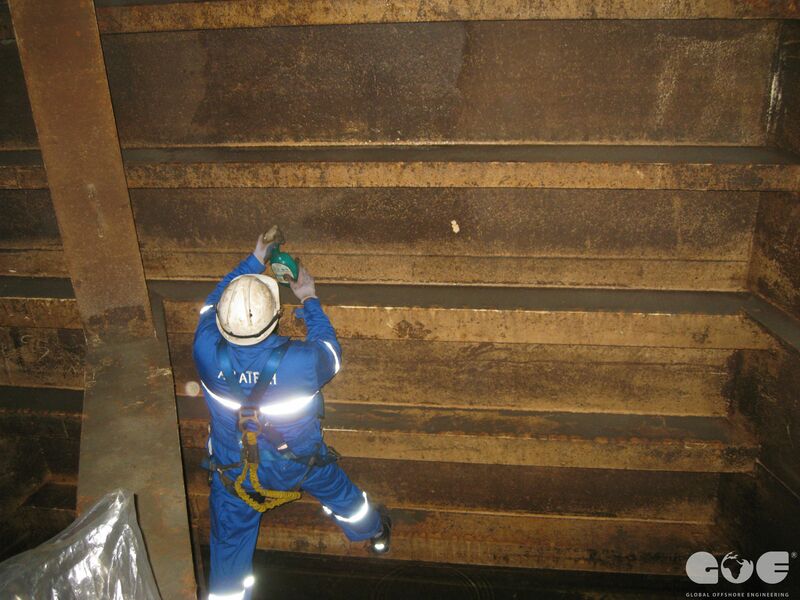 Preparation include : drawings make (main scantling), calculation of wind area, communication with heavy lift vessel and preparation and lashing of equipment for dry tow. After 45 days of towing t, the rig was successfully arrived in Cape Town, SAR. 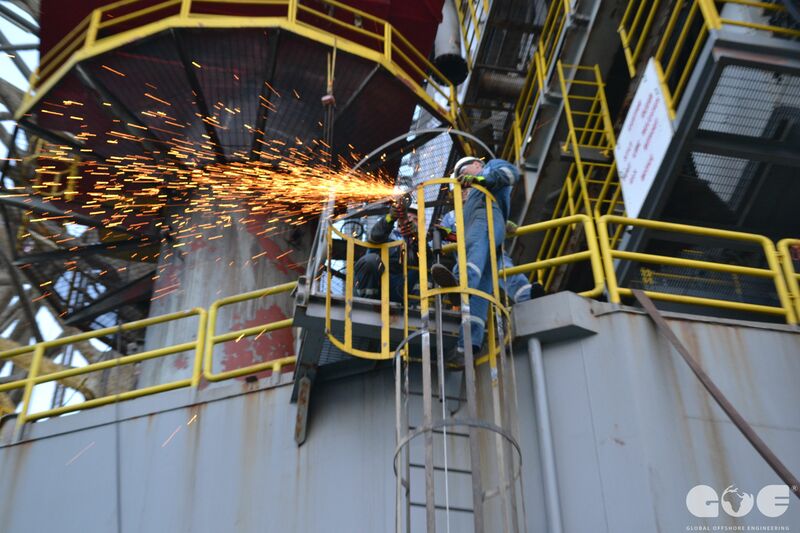 GOE project management team was up to task of managing upgrade and maintenance services for reactivation of this jack-up drilling unit. 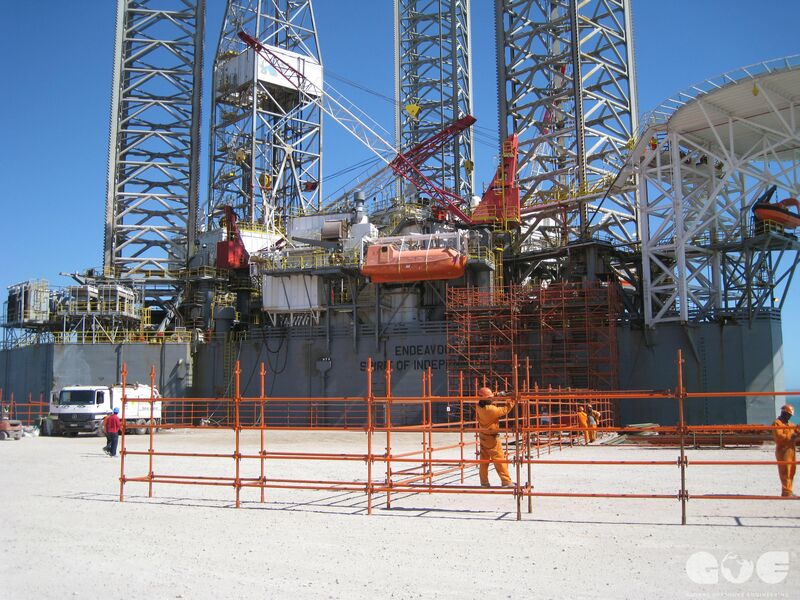 GOE project management team provide complete documentation package for dry towing, completed repair upgrading workscope, carried out for project planning and manage the crew on the rig in shipyard in Cape Town.